The Wing Chun Wooden Dummy made another TV appearance recently on the hit show 'Banshee'. Hailey Owens, a 10 year old abducted from her Missouri neighborhood, was found dead after suspect Craig Michael Woods was arrested outside his home. Hailey was walking home from school when Woods pulled over to ask her directions and yanked her by the arm into his truck. Neighbors witnessed the kidnapping and reported to the police immediately with his license plate number, but authorities could not keep up until it was too late. One neighbor went as far as chasing the suspect with his car, but to no avail. Hailey's body was found in trash bags with a gunshot wound to the head several days later. Stories like Hailey's are the reason Burbank Martial Arts for Kids focuses on teaching realistic self-defense, street safety, and awareness such as Anti-Kidnapping and Stranger Danger. We also offer seminars open to the community for all parents and children who want to learn valuable street safety lessons. Which martial arts style is best for kids? We choose Wing Chun for children because it focuses on realistic street-effective self-defense techniques. To learn more, call us at (818) 843-7916 today. Sifu Tei asks, "Any volunteers?" 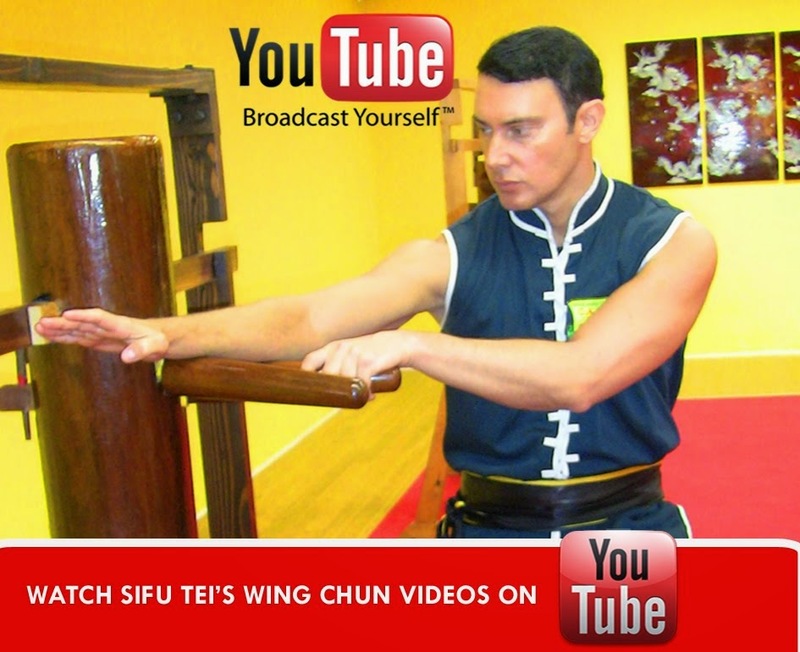 What happens when you challenge a master of Wing Chun? The world may never know. P.S. Sifu Tei volunteered one of his students, Sean, for this demonstration after nobody took him up on his offer. Why did you bring Ian to the school? 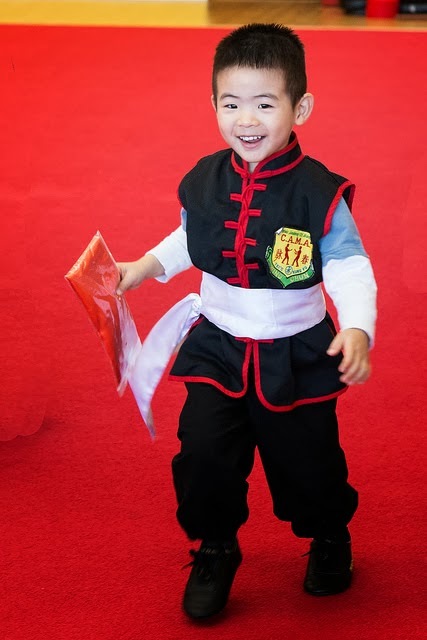 To expose Ian to a social environment where communication skills are required so he can learn how to interact with other kids and in English while learning a physical art form/activity that connects him to the Chinese culture background. Also, to build confidence and learn how to stand up for himself and others the right way. Tell us what's changed since Ian's first day. The classes at the Academy have helped Ian develop his presence of being. By this, we mean a holistic change more than a one dimensional thing like being less shy. Ian has grown to become much more aware of himself and his surroundings. For example, when he is at a party, he looks around to make sure all the other kids are 'taken care of', be it bringing them a toy or closing a door that someone left open. Now we don't know if this is a result of the Life Skills or learning Pak Sau or the fact that everyone always starts Wing Chun class with their own orange cones, but we are very thankful to you all for helping make our Ian a better person. Any advice for new parents? Observe how your child is doing in class. Find one thing they did well in each class and let them know how proud you are. At the same time, find one thing to improve on and encourage them to do better in the next class. No need to overwhelm them. Practice at home with them anything that they need a little help on. You will be amazed at how quickly your child will feel right at home. 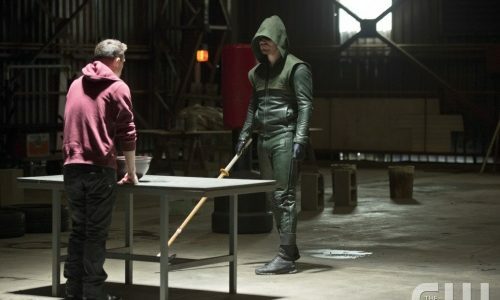 CW's hit show Arrow was just renewed for a third season. Check out the Wing Chun moves from the title character and his new sidekick - looks just like what we teach at our Burbank Martial Arts school. More from the LA Fit Expo - Tai Chi. Here's the most highly anticipated clip from the LA Fit Expo of Sifu Todd Shawn Tei working with a student. Check out our Burbank martial arts school and learn Wing Chun today! 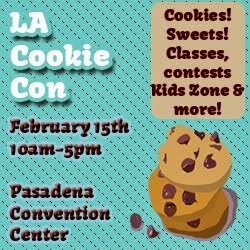 More from our performance at the LA Fit Expo on January 25th. Check out this Chi Sau (sticky hands) demonstration from these Burbank martial arts instructors. Here's Part 2 to our video post on Thursday - the double broadswords performed by Burbank martial arts instructor Sifu patty at the LA Fit Expo on Saturday, January 25th.